North American live music conglomerate AEG Live has been in talks with New York promoter The Bowery Presents for three years, but the two companies have reportedly just entered their final round of buyout negotiations. AEG Live has been buying up similar companies for several years, suggesting that the corporation is moving to dominate the US live music market. 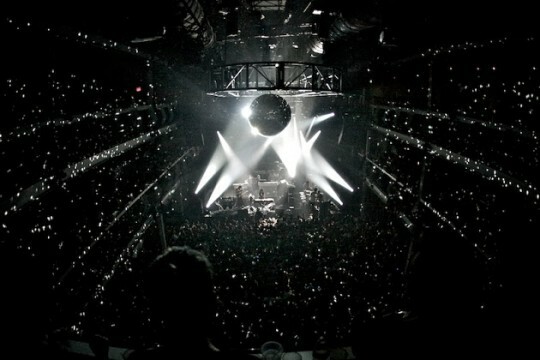 The Bowery Presents organizes live music events at such major New York venues as Bowery Ballroom, Mercury Lounge, Terminal 5, Rough Trade, and Music Hall of Williamsburg. It has even included Madison Square Gardens and Brooklyn Bowl in its repertoire in the past, making it a valuable asset as AEG Live tries to gain ground on Live Nation. If similar acquisitions in the past are any indicator, The Bowery Presents will likely lose some of its personal touch in the wake of an AEG Live buyout. Until the ink dries on such agreements, though, such a scenario is still speculation.